Much of the work we do is custom. We love working with clients to create the perfect piece for their home or office. We strive to make the process one that is easy, smooth and allows the customer as much input as they desire. Whether you are here in Bend or across the country we want to make it possible for you to supervise the process step-by-step. 1. Fill out an inquiry form. Find it HERE. You can also upload images of what you are looking for. Photos and sketches are always very helpful. Include your measurements and wood type. 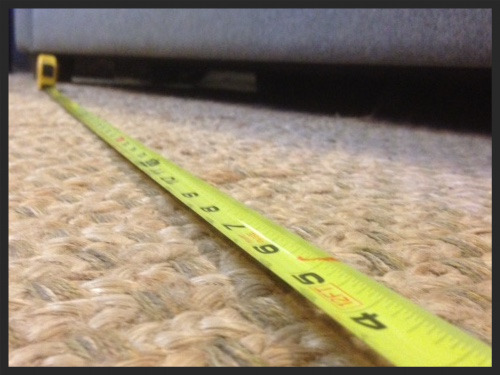 We will get back to you within 2 business days with an estimate on price and completion time. Projects typically take 5-6 weeks to complete. 2. If the estimate looks good, we move forward to selecting slabs and a base design (popular base designs HERE). We'll send you photos of slabs to select from with notes and measurements. We understand that it can be hard to imagine what a rough slab will look like as a table, so we strive to give you as much information at possible. 3. Once slabs and the base have been selected we will send you the final quote. If the quote is good and you choose to move forward, you'll put down a deposit for 50% of the project. That sets the slabs aside for you and puts the project on the job board. 4. During the building process we will send you photos of the progress and run any questions by you. 5. When the piece is complete we will send you final photos before we crate it up. We ship by either UPS or freight service depending on size and destination. For more about shipping visit our shipping page.